Former federal prosecutor Joe diGenova said that Deputy Attorney General Rod Rosenstein is suspect in his actions to reign in President Trump indicates a Deep State intention. While some would say that Rosenstein was trying to get President Trump to be level-headed by not advocating the release of documents. That is not how Mr. diGenova sees those actions. He thinks that Rosenstein’s actions are not meant to protect the President, but are intended to protect Rod Rosenstein. Read on to see what he is afraid of. 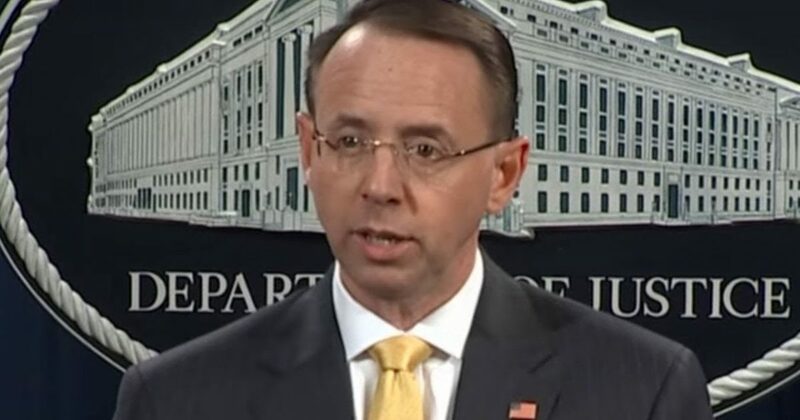 The New York Times reported on Sept. 21 that Rosenstein, as deputy attorney general in 2017, suggested in meetings with FBI and DOJ officials that people wear wires to secretly record President Trump in the White House and that they consult with Cabinet officials about removing Trump under the 25th Amendment.